With all the pressures and demands placed on our teachers today is it any wonder they feel overwhelmed and are often full of stress and anxiety? Maia Heyck-Merlin is here to help! Maia the author of, The Together Teacher: Plan Ahead, Get Organized and Save Time! joins us to share helpful tips, tricks and resources for our dedicated, but stressed out educators. 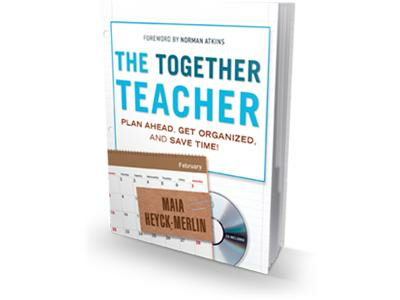 The Together Teacher is a practical guide that gives teachers free resources, templates, illustrations and photos to get organized and balanced in their day-to-day activities. 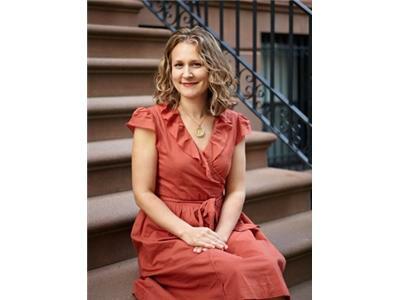 Maia is also a former teacher, an experienced professional development trainer and the founder of Brass Tacks, a company providing coaching and workshops for teachers and administrators. By sharing her passion to help teachers manage their classrooms and lives, students ultimately benefit too by having a better, calmer environment to learn in.